Believe it or not, low-maintenance composite decks have been around since the mid-1990s. When they first hit the market the colors and textures were limited, but like all technology, they’ve evolved. In fact, low-maintenance decking and railing have evolved into a billion-dollar industry. You can now get practically any color or texture you want, and the quality of the decking materials are more elite than anyone ever imagined 30 years ago. Our company knows pretty much everything there is to know about custom deck building with these materials because we were one of the early adopters. If you come across a custom deck in Omaha made from Trex, TimberTech or Azek low-maintenance decking and railing there’s a good chance we built it! Don’t let the dinosaur deck builders scare you away from all the benefits of low-maintenance decking & railing. Despite its longevity, many deck builders are reluctant to shift over from wood simply because they don’t understand how Trex, TimberTech or Azek materials work or how to install them properly. Trex, the originator of composite decking material has been around since 1996. No Fading or Staining – Many composites offer fade and stain warranties so they won’t change color over time. Left alone, wood turns grey. No Warping, Cracking, or Splitting – Over time natural wood deteriorates no matter how many coats of stain you apply. Composite decking companies like Trex and Azek boast a 25-year to limited life warranties to back up their promise. Termite Resistant – You’ll never receive damage to your composite deck from termite pressure, unlike wood decks which are under constant threat from the wood loving insects. Mold & Mildew Resistant – Wood rots and breaks down in nature, and when it’s attached to your house as a deck. Composite decking is more immune to mold and mildew attacks which are known to exploit the vulnerabilities of wood decking. No Splinters – What fun is being on the deck if you keep picking up splinters in your feet? Composite decking is a true splinter free decking experience. Longer Boards – Composite decking boards are as long as 20ft which means a more seamless finish with fewer joints. Low Maintenance – They don’t call it low maintenance decking for nothing. A simple application of soap and water gets your deck looking brand new in no time. Nobody builds a custom deck so they can spend lots of time taking care of it. Stop by our showroom and see in person how great the materials we use in our Omaha elite custom decks really are. We offer all the top brands including Trex, TimberTech, and Azek for our low maintenance decking & railing. You have to see it to believe it. Touching it helps too. See you soon! This entry was posted in Custom Decks Omaha and tagged azek, custom decks omaha, deck building omaha, decks omaha, elite custom decks, timbertech, trex on September 26, 2018 by Decks, Decks and More Decks. Our Omaha master deck builders have been at it for nearly 40 years. What this equates to is experience – nearly four decades of Omaha deck building experience. It’s said that it takes 10,000 hours to achieve mastery in a field. Well, if that’s true, which it seems to be, we surpassed that sometime in the late 80s. But mastery isn’t enough when it comes to business. Customer service is just as important as the product or service. We’d like to think we’ve mastered that as well, but we certainly haven’t grown complacent. What do we have to show for our nearly 40 years of building custom decks in Omaha? 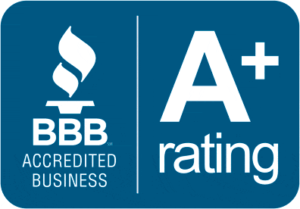 Well, we’ve earned a perfect A+ rating with the BBB. We’ve been featured locally and nationally in various publications such as Professional Deck Builder Magazine, Deck World Magazine, and Omaha Builder Magazine. We the highest rated low-maintenance custom deck builder in the Omaha area. Manufactures have rated us as Omaha’s only TimberTech / Azek Platinum Contractor® & TrexPro®Elite Member. We’re family owned and operated, so we bring family values of quality, honesty, and dedication to every job. Aside from history and recognition, you might want to know a little more. With literally thousands of custom decks built over the years, you’re going to get the deck you want when you work with us. We have an extensive portfolio you can look through for inspiration in case you’re not quite sure what your dream deck will look like. We’re familiar with all the codes, zoning laws, permits and utility locations that need to be accounted for when building a deck. Our custom decks are ultra-low maintenance decks, meaning they’re durable and last without taking up your time maintaining them. We’re FAST! Our years of experience has enabled us to dial in our deck building systems to the point where we can build your deck in a matter of days. NO SURPRISES. We have an extensive hands-on showroom where a variety of decks are on display. You can walk on them, touch them, and even smell them if you want – we don’t judge. In addition to the showroom, we offer unparalleled 3D deck designs so you can see the finished product before it’s finished. How cool is that? This entry was posted in Custom Decks Omaha and tagged azek, custom deck omaha, deck company BBB, experienced deck company, omaha deck builder, timbertech, trex on February 22, 2018 by Decks, Decks and More Decks.